The relatively thick tires and stiff frame make it a perfect bike for a comfortable ride. 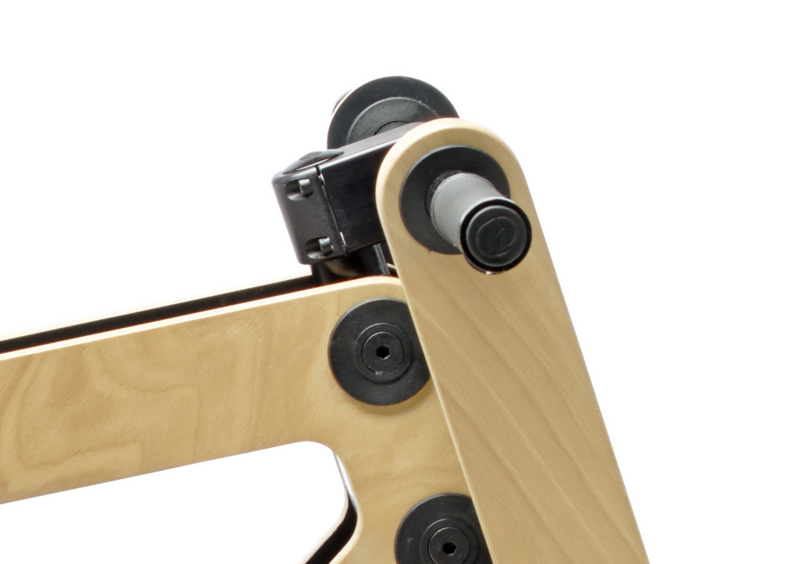 We don’t expect you will ride your Sandwichbike indoors, so we made sure the wooden frame will do its job, rain or shine. Besides producing a bicycle made out of sustainable materials, we also wanted to encourage sustainable use. 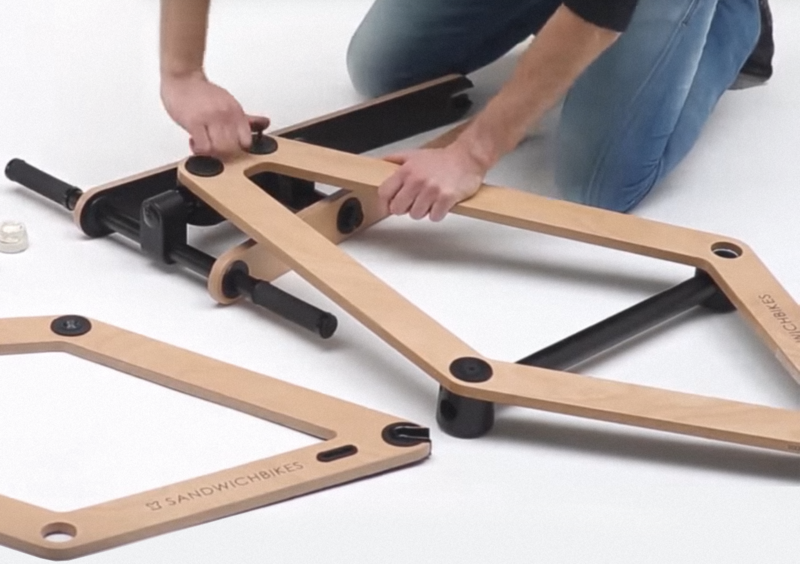 By letting people assemble their Sandwichbike themselves, we want to let them see how beautifully the materials are made and come together. Engaging people this way creates a unique experience. 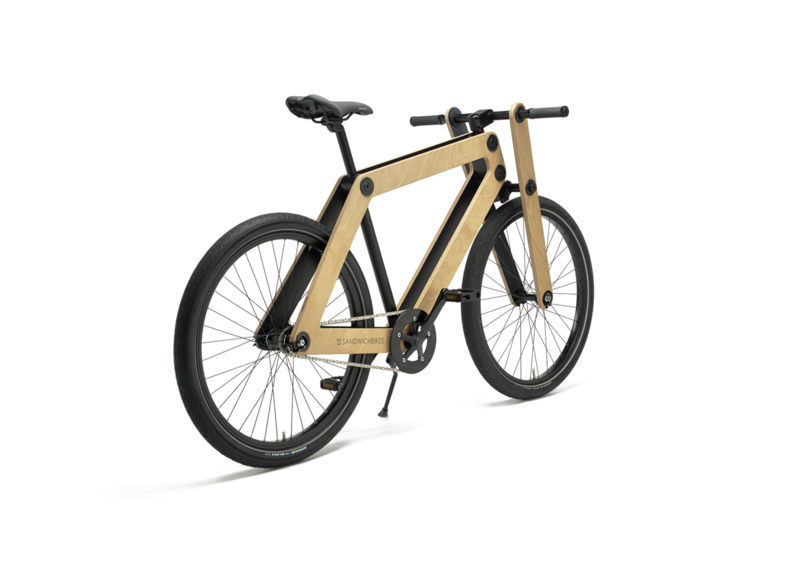 The wooden frame that is harvested in a sustainable managed forest in Germany, gives each frame its own unique identity. Building, designing and constantly innovating Sandwichbikes gives us a deep thrill that we would like everyone to have when assembling their Sandwichbikes.